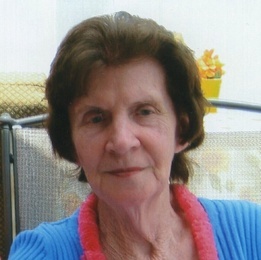 Betty J. Abel, 91, passed away at 5:40 pm on January 7, 2019 at Washington Nursing Center. Betty was born on December 15, 1927 in Washington the daughter of Dessie “Ruth” Dillon. She married Ralph James “Jack” Abel on May 24, 1947 and he preceded her in death on October 3, 1998. Betty was a homemaker and a member of Antioch Christian Church where she was active in the nursery and with the prayer team. She enjoyed boating, camping, yard sales, family reunions and dancing. Survivors include her sons, Dennis Abel and his wife Diana of Princeton, Doug Abel and his wife Kimberly of Lapaz, IN; daughter-in-law, Rosemary Abel of Washington; sister, Erma Lee Shelton of Washington; four grandchildren, nine great grandchildren and special friend Pat Wilkinson of Washington. Betty was preceded in death by her mother Ruth Abbott, her loving husband of fifty- three years, Jack Abel, brother Norman Abbott, sister, Ora Mae Purdue and her son David William Abel. Friends may visit with Betty’s family from 4-8 pm on Thursday, January 10, 2019 at Goodwin-Sievers Funeral Home, 2020 State St. in Washington. Betty’s funeral service will begin at 1:00 pm on Friday, January 11, 2019 at Goodwin-Sievers Funeral Home with Bro. Keith Meece officiating. Interment will follow in Bethel Cemetery. Memorial contributions may be made to Heart to Heart Hospice, 415 E. 6th Street, Jasper, IN 47546 or The National Alzheimer’s Association. On line memories may be shared with Betty’s family at www.goodwinfamilyfh.com. Goodwin-Sievers Funeral Home is honored to assist the Abel family with arrangements.